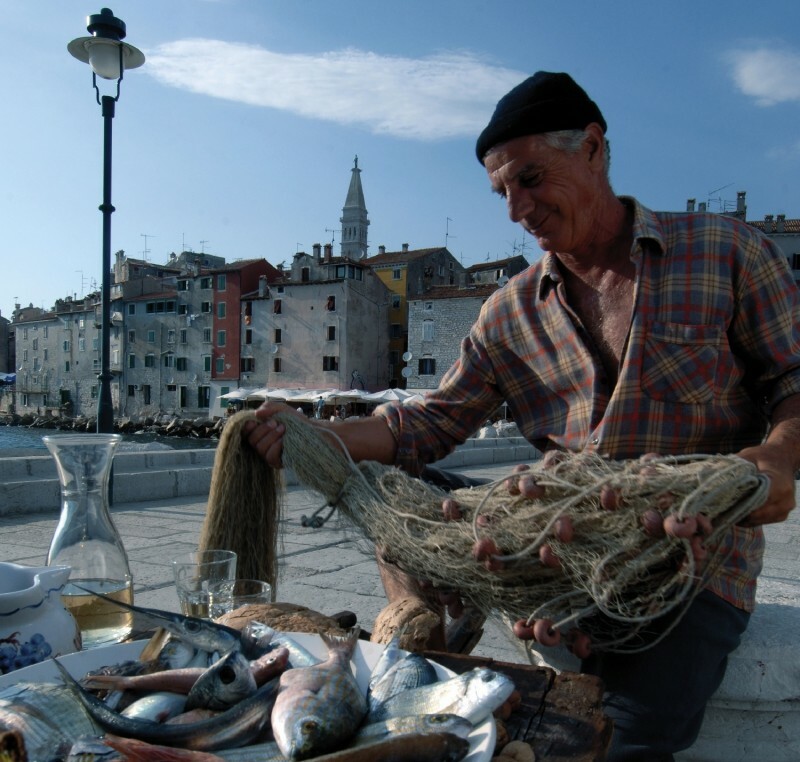 Rovinj cuisine is based on seafood which used to be caught by locals who set out to the open sea in batanas. In order to preserve the tradition of typical Rovinj cookery, the Batana House Eco Museum published The Traditional Rovinj Cuisine Cookbook. This thirty-page book contains fifteen traditional recipes, ranging from recipes for appetizers to main course recipes. All the recipes carry their original names in Rovinj dialect and include a local proverb. Moreover, next to each basic ingredient there is a description on when and how it is caught. The cookbook contains recipes for fried sea anemones, brodet (a type of fish stew), fried picarels with kale and so on.